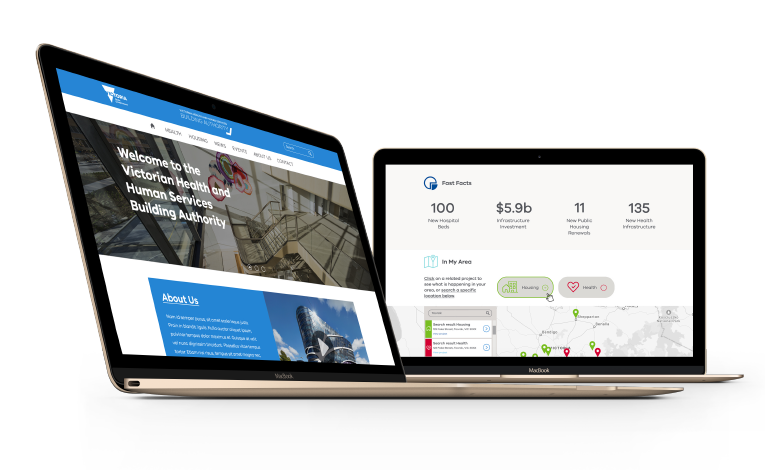 Our design and development team had a vision of crafting a strong digital presence that included project case exploration within a clean, modern design. 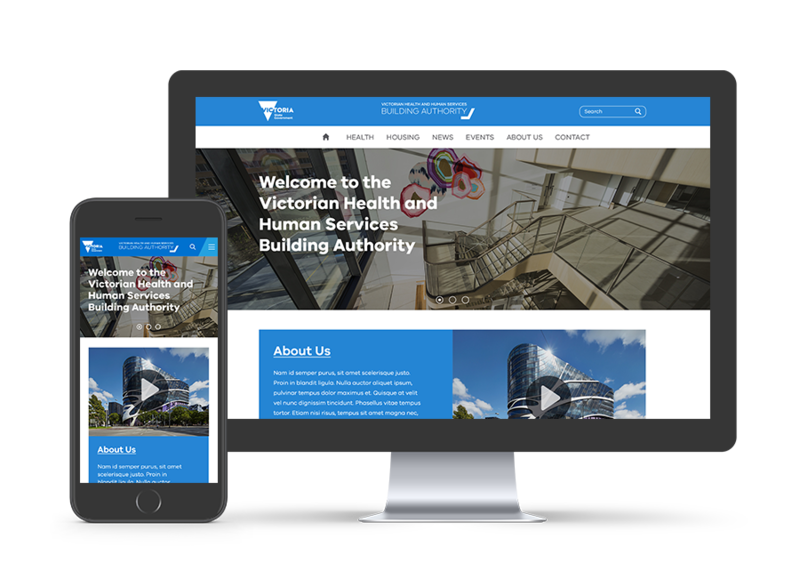 The site needed to educate and inform as the client’s story shone through – whether it’s developing new facilities or expanding on existing assets, we wanted to show that Victoria continues to be one of the most liveable places in the world, now and for generations to come. The first challenge involved the project timeline. In order to launch inline with the new state government initiative, the project had a one month turnaround. This is no small feat in the world of custom development. In addition, working with a brand new initiative means all assets must be created from scratch. The site itself required a large number of project cases covering the three sectors – health, housing and sport. Interactive maps and custom categorisation was required in order for visitors to filter and find relevant projects. Project requirements also included the translation of each page – with nine languages integrated all up. And all this wrapped up with a fresh, modern look and feel. With a one month delivery looming on the horizon. Our team rose to the challenge. A schedule was planned that would allow our full development process – planning, scoping, building, developing, testing and launching. A shorter timeframe never involves a lesser product. We were ready. While our project teams focussed on working within a hybrid methodology throughout the design and development phases, the client’s team collated the project cases under the Newpath Web team’s guidance. This ensured the delivered content would successfully import and work within the site structure and design. The site was delivered in time for the official initiative launch. 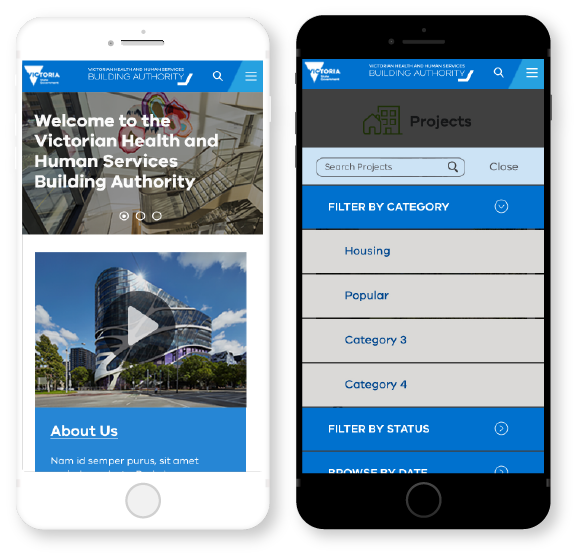 We launched with over 50 project cases – all easy to find with a few clicks on the interactive map, or by exploring our highly customised cross referenced tagging solution. The design was fresh, crisp and fitting for an initiative that considers the past but is entirely future focussed. We approached Newpath Web with an incredibly detailed brief, and an even more challenging timeline, and the decider for appointing Newpath was your ability to work to an agile methodology, and deliver the project in concurrent sprints. You didn’t weigh down the project with cumbersome workshops, in fact we nailed the IA session and first round wireframes within three days. You completed each sprint on time, and the relationship management & communication was slick. Great work.